The prestigious K Club in Kildare, Ireland is of course famous for hosting many championship golf tournaments on its two Arnold Palmer designed golf courses; and it is all of this green - 550 acres of it to be exact - that provides the perfect backdrop for a beautiful wedding. When planning a wedding at The K Club, you can expect diligent service from a genuine staff who, you will quickly discover, tends to the individual desires of each client. To ensure their focus remains dedicated to giving each client the special day they deserve, The K Club enforces a One Wedding a Day Policy. This way, the team can direct their attention to one couple at a time and truly ensure that each wedding is completely bespoke. We have begun to illustrate what your clients can expect from a K Club Wedding below, but to get the full picture you must talk to Alina Bandol, their wonderfully attentive, on-property Wedding Coordinator. The K Club is just one of many Waterstone members able to host magical destination weddings for your clients and we look forward to shining a wedding-focused light on them going forward . I thank you for taking the time to read this information and please don't hesitate to send questions my way. 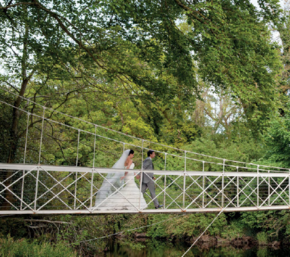 At The K Club, the staff understands just how important your client's ceremony is. Whether they're looking for an elegantly decorated room or a stunningly scenic outdoor setting, The K Club is able to accommodate all wishes. There are also a number of local churches in Straffan Village, a 10 minute drive from The K Club. Starting off with a cocktail reception, the Old Entrance Hall provides the perfect atmosphere for your clients and their guests to relax and enjoy the grounds. With access to the beautiful gardens and terrace, the Yeats room, decorated with one of Ireland's most impressive art collections, is another great place to enjoy sumptuous canapes and chilled champagne. Each dinner is meticulously planned and individually styled to fit the couple's needs. 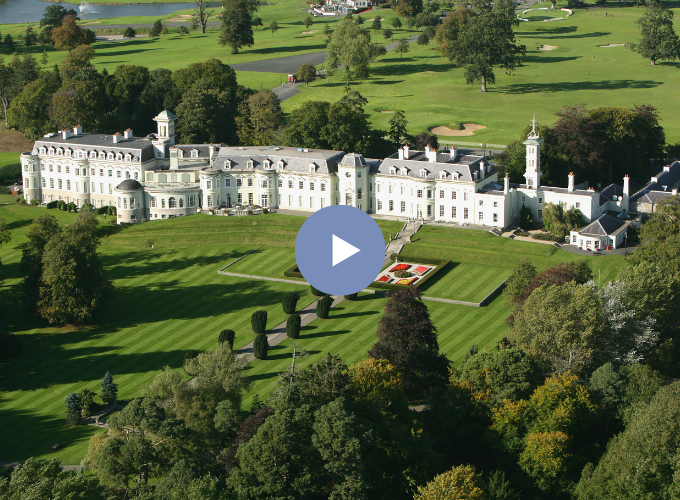 With various sized event spaces, The K Club can easily accommodate every type of party. + John Jefferson Smurfit Room - up to 50 guests. An especially intimate space, the room offers beautiful views over the gardens and river. + Palmer Room - 50-110 guests. Located in the Palmer Clubhouse, a terrace allows for views over the 18th hole. + Legacy Suite - 350 guests. Located in the Smurfit Clubhouse with a private entrance and deck that overlooks the Smurfit Course's signature hole. 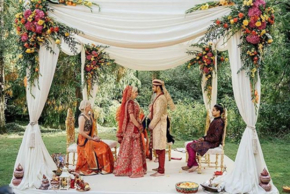 + Marquee - Positioned on the gardens of the hotel, a wedding in this extremely elegant tent is beautifully surrounded by rustic woodland and 550 acres of lush greens. From the night before to the morning after, the culinary team at The K Club is on hand to provide delicious delicacies for your clients and their guests. With various different menu options, there is something to please every palate. Each of The K Club's 140 rooms and suites is luxurious, sumptuous, and individually decorated with original paintings, antiques, and hand painted murals. 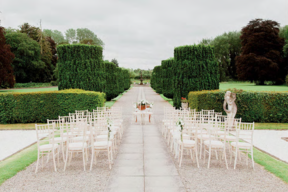 And Straffan House is also available for smaller destination weddings looking for exclusive use, or for groups who want to stay in the same home during the wedding. Straffan House is a 10 room private estate on the grounds of The K Club and boasts a private chef, butler, concierge, house manager, indoor pool, cinema, game room and wine cellar. 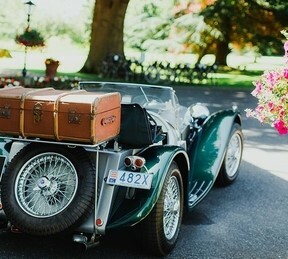 Weddings are about more than just one day, and The K Club has everything needed to make the whole weekend one to remember. Your clients can host a formal rehearsal dinner indoors, a casual BBQ on The K Club's private island, or bring everyone to the local pub for a pint. There are many different activities to enjoy as well, including championship golf or pre-wedding pampering at The K Spa for all members of the bridal party. Horseback riding, fishing, falconry or kayaking could also add great fun to the whole experience.